Ten staff from Air Niugini’s Balus Social Club paid a surprise visit to sick children and staff at Port Moresby General Hospital’s ward 1B over the weekend, delivering Christmas gifts. Although, the visit was the first for the club, there are different departments within the airline who pay similar visits to charity organisations including Cheshire Home and others during the festive season. 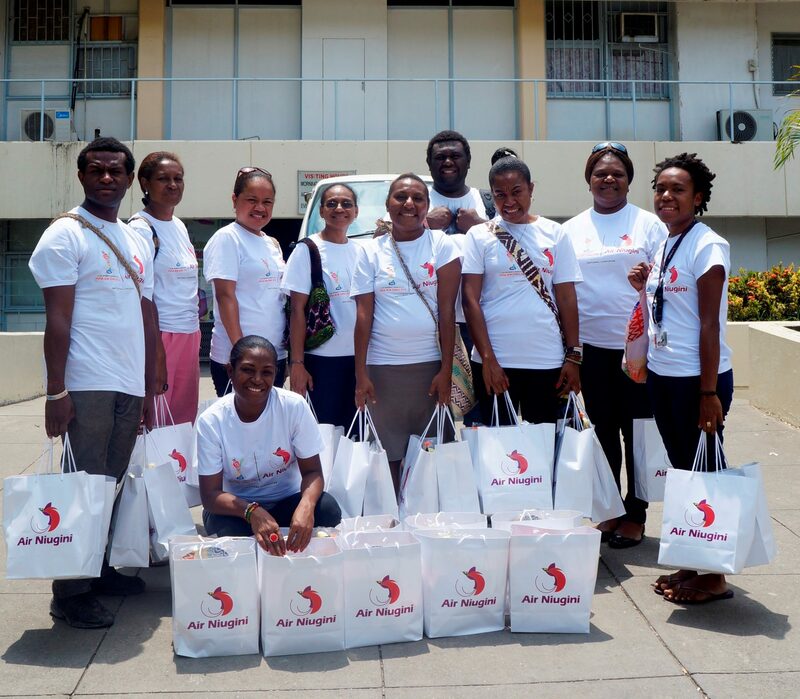 The group delivered goodies in Air Niugini gift bags. They included food, fruits, drinks, water bottles, cups, dolls and the airline merchandise and magazines. Children and their parents also received educational posters on personal hygiene, fan, hand bands and toiletries including tooth paste and brush, laundry and hand soap. Air Niugini staff who co-ordinated the visit, Ronnie Toure said this is the season for giving and the group was pleased to be able to bring smile on the face of the sick children at the hospital. Most of these Christmas gifts were bought from the monies raised from fundraising activities, sales and raffle draws conducted by the Balus Social Club during the year. Colgate Palmolive, VITIS, Lamana Gold Club and Air Niugini Marketing team were also acknowledged for their support. In future, Air Niugini’s Balus Social Club is planning to visit a rural hospital or a non- profit organisation outside Port Moresby.